Work permits, which allow people to legally work in the United States, need to be renewed. 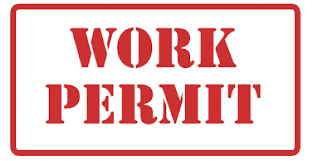 The work permit will have the validity date on it, so remember to look at the validity date on the work permit. USCIS recommends filing paperwork to renew these permits at least 120 days before the listed expiration date.